I realised today that I don't think I have said one. single. thing. about having resigned from my day job?! But I have! I have officially resigned! So now I am free to pursue all the things and I am pretty dang excited about it! 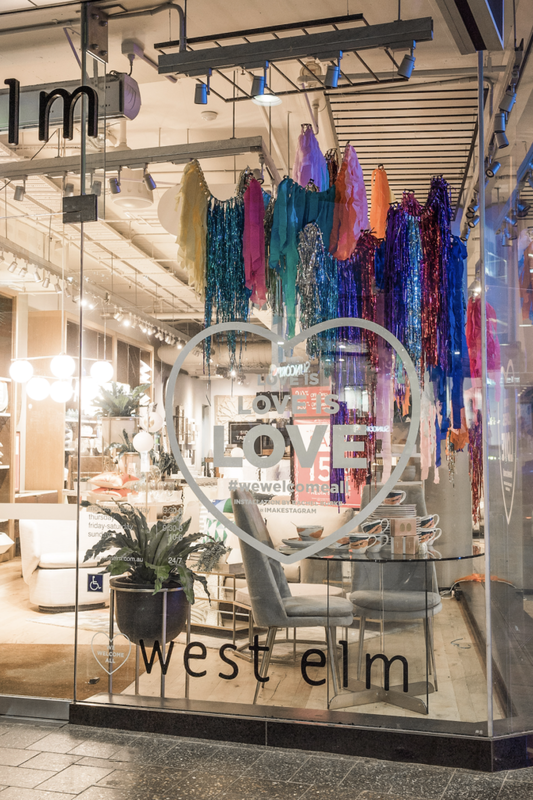 One of my first projects of self employment has been developing a window display for West Elm, to celebrate Mardi Gras and all things 'Love is Love'. 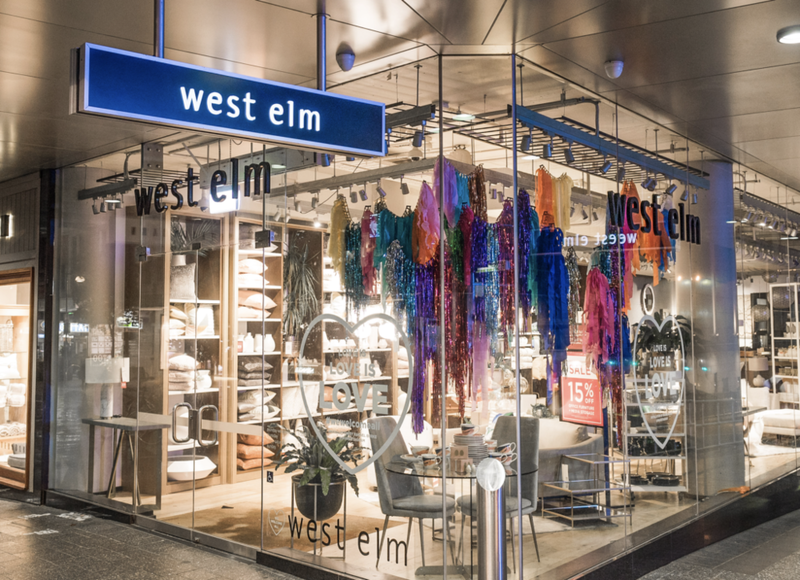 Setting off to Sydney on Monday, I had the absolute pleasure of meeting the West Elm team at the Bondi Junction store, and installing this tinsel hanging - or 'Tinstallation' as I like to call it! And then voila...the finished product! Many thanks to Esteban La Tessa fro these fine photographs and West Elm Australia for having me along to their wonderful store!